This project has me so excited. I love track pants. They are so versatile. 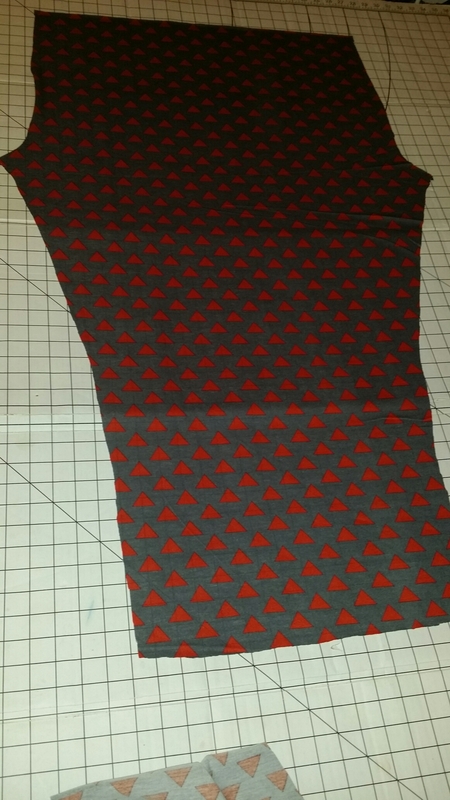 So, when the idea popped into my head to do a DIY pair……I immediately headed to my local chain fabric stores. Unfortunately, I met with disappointment. I found nothing that inspired me. 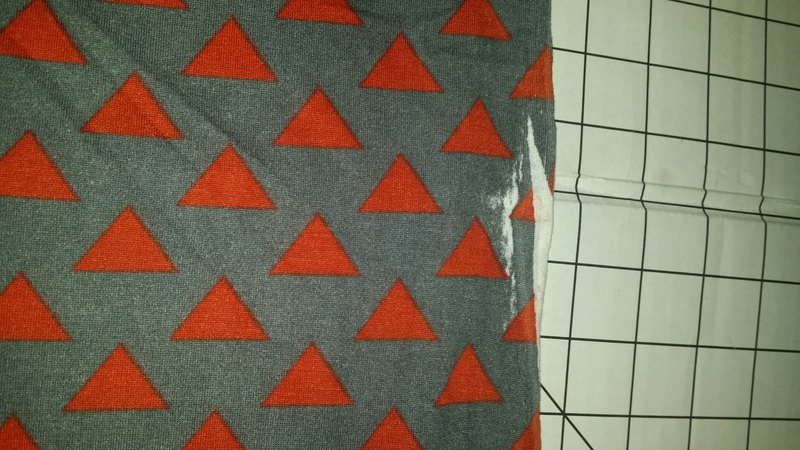 So a few months past and I find an online fabric store, that had just what I had in mind. 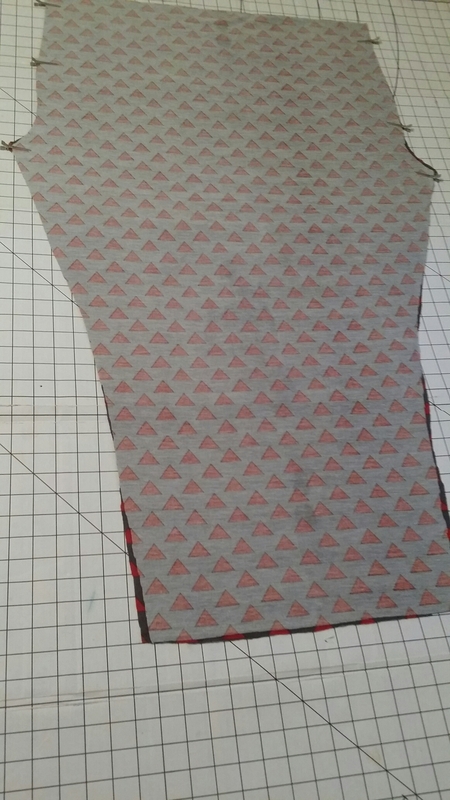 Once the fabric I ordered arrived and I got some other sewing projects out of the way I got started. 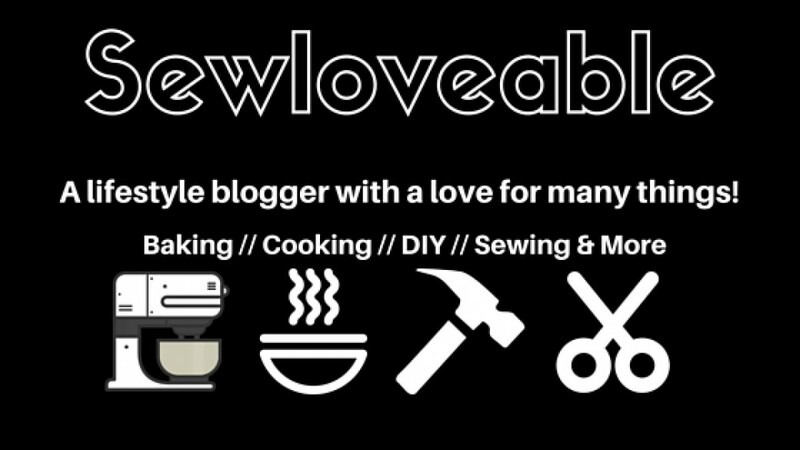 Let’s dive into this tutorial…..
2. Fold your fabric again and now place the piece you just cut out on top. Cut close to the pant leg that’s laying on top of the folded fabric. Please be sure to cut the crotch area 2″ bigger. You need room for your backside to fit properly. 3. Now open up the back piece you just cut with the right side of the fabric facing you. 4. Open the front of the pants. Lay it on top of the back piece with the wrong side facing you. Pin from the top to the crotch. 5. 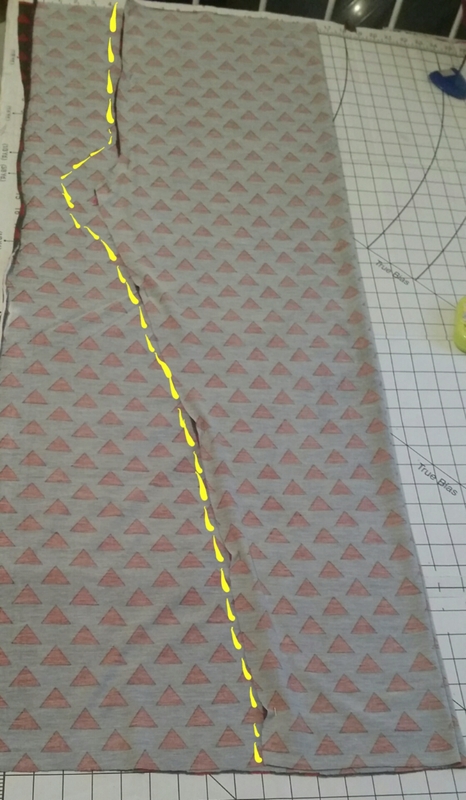 Sew with a 1/2″ seam allowance from the top to the crotch using a stretch or small zig-zag stitch. Being sure to back stitch at the beginning and end. 6. Open up the pants like so. 7. 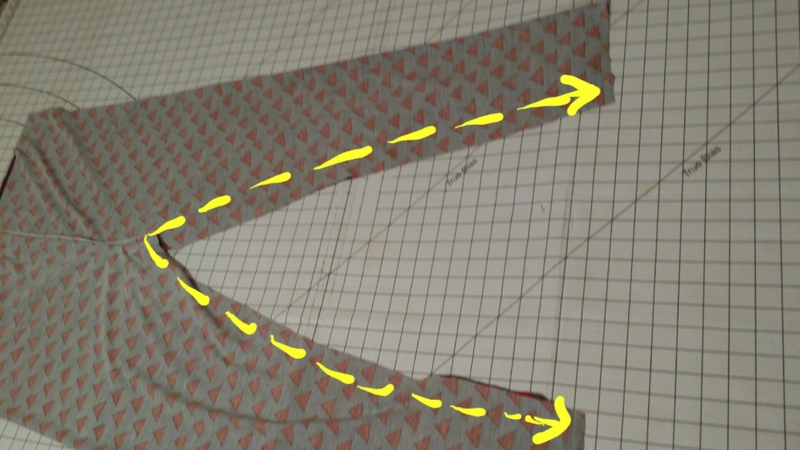 Stitch down each leg with a 1/2″ seam allowance. Try your pants on and make any needed adjustments. Finish your seams with a serger, zig-zag stitch or pinking shears. 8. Now measure the bottom of your pant leg. Mine was 6.5″ across and 13″ all around. (The front is 6.5″ + the back is 6.5″ = 13″ ) Now you need to cut the 1/2″ elastic. To do so subtract 3 to 4 inches from measurement you just took. For me that measurement is 13″- 4″= 9″. (I wanted a more fitted pant at the bottom.) Now cut 2 pieces of elastic. 9. 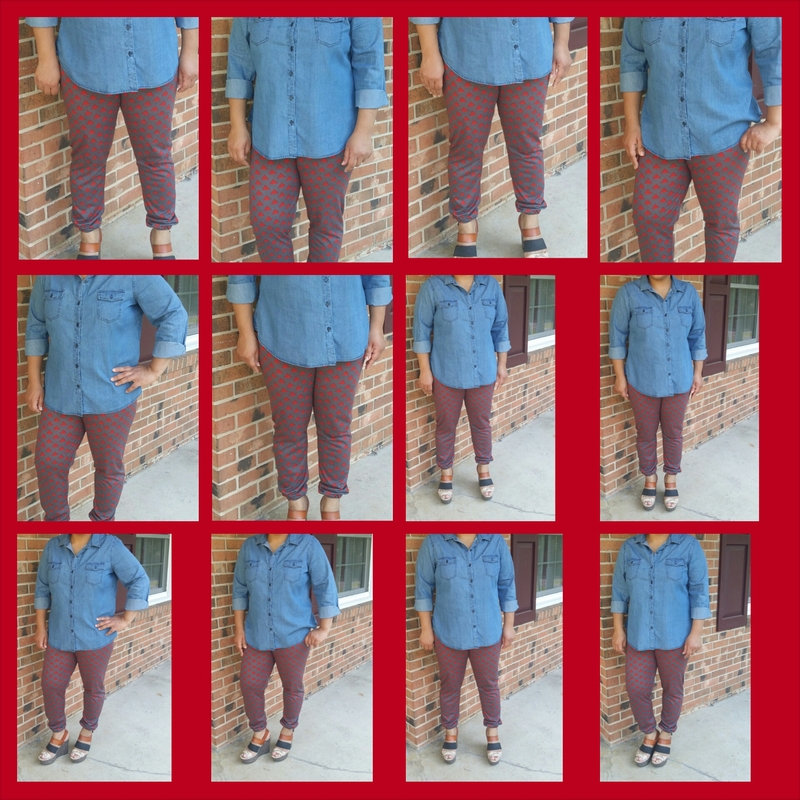 Hem the bottom of your pants by folding over 1/4″ and then 1″. Sew around the bottom pant leg close to the edge using a stretch or small zig-zag stitch. Leave a 2″ opening to feed your elastic through. Feed the elastic through. 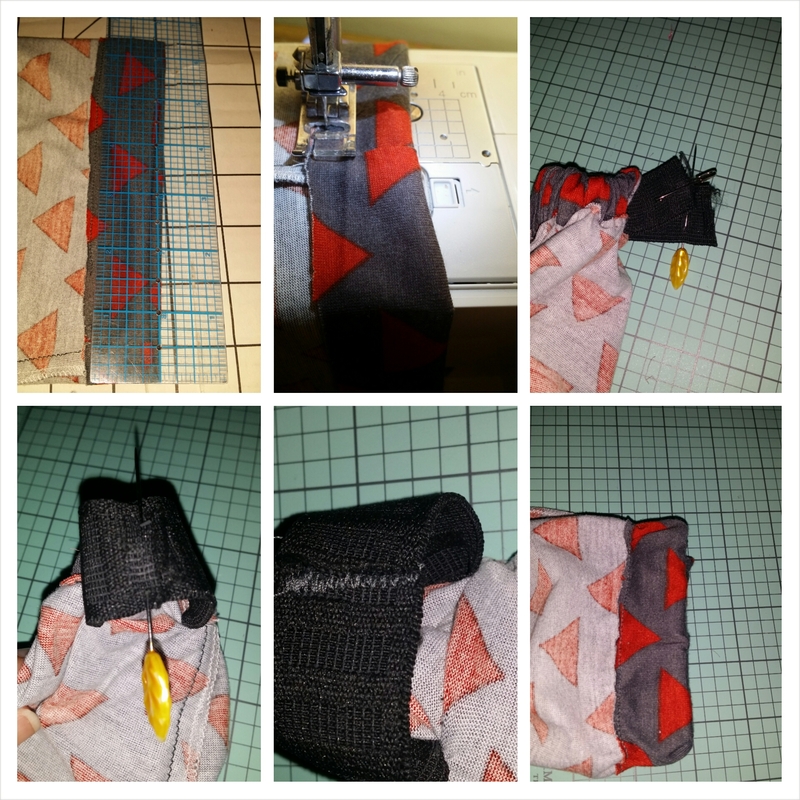 Over lap the elastic 1/4″ and sew back and forth using a zig-zag stitch. Tug on the pant leg to securely get elastic in place. Stitch the opening closed. 10. 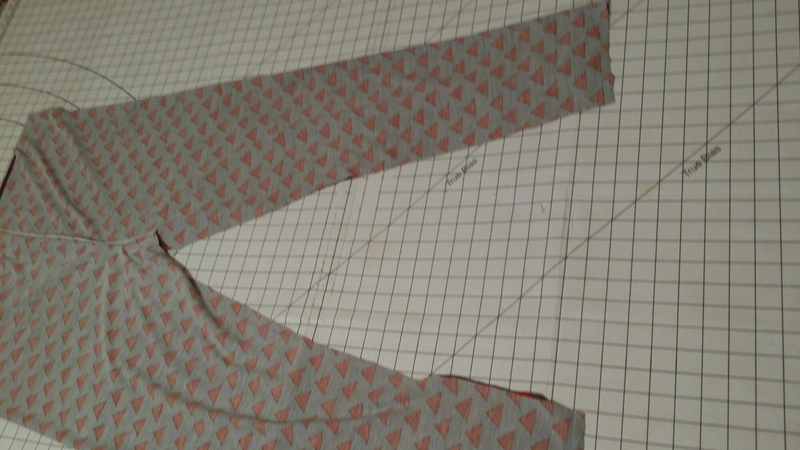 Final step……Fold your waist over 1/2″ and the 1″. 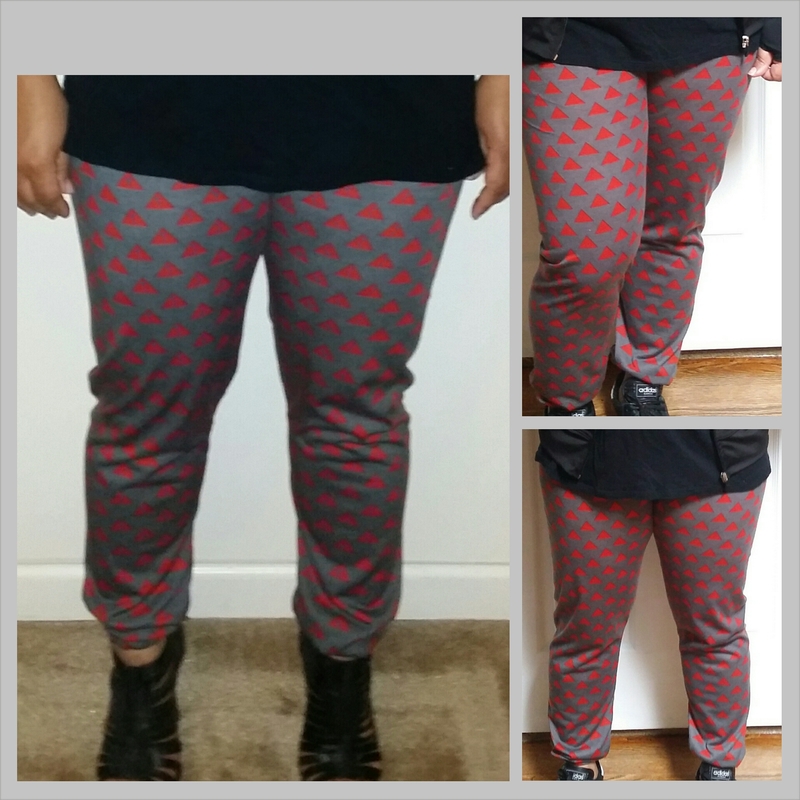 Sew around the waist just like you did with the bottom of the pant leg, leave a 2″ opening. With your elastic comfortably around your waist and cut. You can also deduct 3-4″ from your waist measurement and cut the elastic at that measurement. Feed you elastic through the waist casing you just created. Overlap and stitch it together with a zig-zag stitch. Tug on the waist to get the elastic securely in place. Sew the opening shut. Give your pants a nice press with your iron. Ta da all done. You can dress them up or down. Wear to the gym, they are very versatile. The fabric came from Girlcharlee.com at $3.00 yard. The fabric was slightly flawed on the selvage edge which is why it’s discounted. Since you will be cutting the selvage edge away, the flaw doesn’t matter. Click here to check it out or to check out the other options. Please feel free to ask questions if needed.